A nurse residency program is meant to help recent graduates transition into clinical practice. Residency programs typically last from 6 to 12 months and serve as an opportunity for graduates to hone critical-thinking and evidence-based decision making skills. Residents have the opportunity to learn not just how to serve patients and families more effectively, but to do so in line with the policies, procedures, and technology commonly used at their institution. 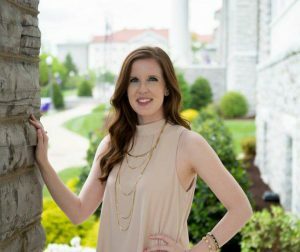 Tara O’Connor is a resident and registered nurse in the intensive care unit at The George Washington University Hospital in Washington, D.C. We asked her about her experience so far. Tell us a little bit about yourself. Please include degrees earned, schools attended, and any relevant credentials. I grew up in Alexandria, VA, where I was very involved in academics and sports. In high school I knew I wanted to become a nurse, so finding colleges with degrees in nursing was very important to me. After researching different programs, both in and out of state, I decided to attend James Madison University in Harrisonburg, VA. I graduated with a BSN in May 2016. In June I took the licensure exam for nursing (NCLEX) and passed, officially making me a registered nurse. On August 1, 2016, I began my first job as a registered nurse at The George Washington University Hospital in their intensive care unit. One piece of advice that I would give to future nursing students is to make sure you have tools and activities that help you manage stress. Nursing school is very different from high school and prerequisite college courses. Clinical days are very long compared to a two-hour lecture, and there is a lot of work/studying that needs to be done outside of the clinical setting. This change can be very stressful for most nursing students, so making sure you have the tools necessary to manage stress is critical to your success in nursing school. I wish I had known more about the curriculum of nursing school in its entirety. I was never forced to really look at all of the classes you take until graduation, or how the semesters are different as you progress. Sometimes I felt a little overwhelmed at the beginning of a new semester. If I had really sat down and looked into the curriculum of the entire program, and not just the semester I was entering, I could have eased a lot of the initial stress I felt. What is a nursing residency and how do you get placed? A lot of hospitals are now utilizing something called a nurse residency program for new graduates. Most hospitals have this residency program advertised on the career link of their website, so instead of applying to any registered nurse position they have advertised as available, you apply to the nurse residency program. When interviewing for the program you usually get to pick which specialty you are interested in (ED, ICU, med-surg, labor and delivery, etc. ), and they hire you into a certain specialty. At GWU for example, I was hired into their nurse residency program in the ICU and attended three months of critical care classes before ever stepping foot into the patient care areas. In nursing school you learn the basics about a lot of different specialties, so residency programs allow you to learn more specialized information geared toward the position you are hired for. Why did you decide to pursue nursing as a career? I decided to pursue a nursing career because the human body has always fascinated me. In high school my favorite classes were biology and anatomy, so I knew I wanted something in the medical field. I have also always loved connecting with people. Whether it’s with friends and family or complete strangers, feeling like you have a connection with another human being can be very powerful. I realized that nursing was the perfect combination of physical science and human connection. What is the hardest/most stressful part of your job? I recently heard a quote to describe what nurses do at work, which was “Nurses are everything, to everyone, at all times.” The hardest/most stressful part of my job is having to be everything, to everyone, at all times. If there is a television not working in a patient room, a nurse often steps in to make sure it gets fixed. If a medication has not been given yet because the pharmacy has not sent it to the unit, the physician usually calls the nurse to fix the problem. When the food services department runs out of a certain flavor of Jell-O, the nurse usually bears the brunt of a patient’s frustration. Having to deal with problems that are not part of a nurse’s job description, in addition to your nursing duties, can be very time consuming and exhausting, and can add to the stress of an already stressful and busy job. The most satisfying part of my job is when I have a patient transfer out of the ICU that I know is probably going to be okay. The majority of my patients have been hovering between life and death, so when they get to leave the ICU and are healed of their illness or injury that put them there, I feel like I helped them accomplish that goal. My favorite thing about my job is knowing that I am doing something to help others, and that I have a job that truly matters. What kind of hours do ICU nurses work? The hospital where I currently work employs full time nurses 36 hours per week. This is reached by working three 12 hour shifts, either 7 AM-7PM or 7PM-7AM. Part-time nurses work two 12 hour shifts per week, and PRN nurses work 24 hours in one month. My typical day is not having a typical day. I get to work around 6:40, and go to our nursing break room to see my assignment for the shift. At 7 AM I get a report from the previous nurse, and from there my day can turn any which way. Some days are “quieter” where I am simply providing patient care and giving medications depending on the needs of my patients. Other days I go 13 hours without sitting down. I typically eat my lunch between 1 and 4, but there are those busier days where I don’t eat anything until I get home. There are shifts where all the patients in the unit are considered stable, and other shifts where we crack open the code cart and bring someone back to life. The next shift arrives at 7 PM, and giving report to the new nurse can take anywhere from 10 minutes to over an hour. I typically get home between 8 and 9 PM. Every single day is different, which is one of the things I like most about my job. What are some qualities you need to work in the ICU? To be a successful ICU nurse you need to be team oriented. Everyone needs help at some point during their shift, so being a team player is crucial. Critical thinking plays another large part of critical care nursing. Most patients have a lot of things going on, so really being able to put puzzle pieces together will help make you successful. What are you planning to do once you complete your residency? After completing my residency program I would like to go back to school and get a master’s degree. I am still not sure which area I want to further my education in, but continuing to learn and grow as a nurse is very important to me. Where can I find more information about working in the ICU? You can find more information about working in the ICU from the American Association of Critical Care Nurses. Please feel free to share any other thoughts/tips/ideas. One tip to help prevent sore feet after a long day is to wear compression socks that go up to the knee. My feet were incredibly sore after clinical days, and hurt even worse after working three shifts in a row for the first time. Compression socks were a savior for aching feet!